Slaton Co-op Gin Manager Tony Newton is laser-focused on providing the best service for his grower-owners. 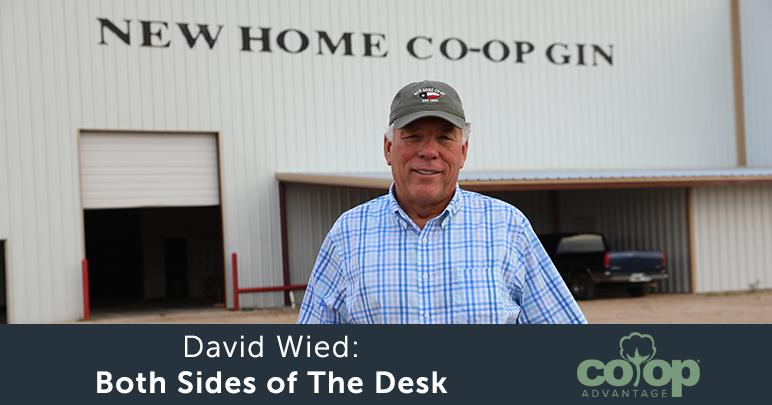 That responsibility is clear as Newton, a third-generation co-op gin manager, explained the constant updates in equipment and technology to increase efficiency and turnout at Slaton Co-op Gin. In just the last two years, Newton and his team have added 16 cylinder cleaners to improve ginning efficiency and have implemented Intelligin, a technology specifically geared to monitor leaf grade and color, thus enhancing turnout when possible. As for being part of a co-op, it’s all Newton has ever known – and something he said he recommends to all those along the supply chain. 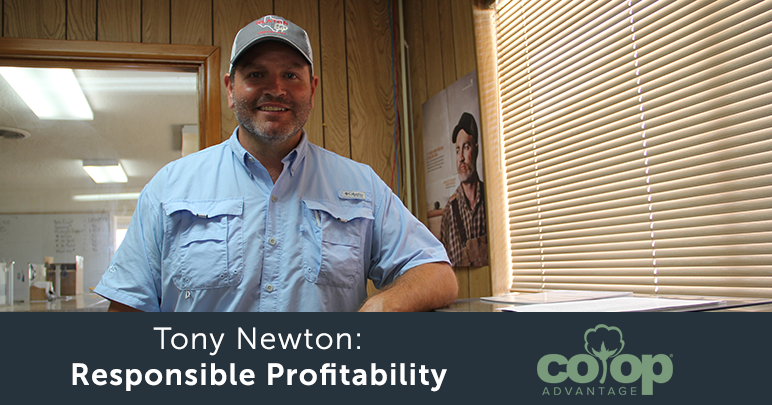 As a co-op gin manager, Newton said being profitable for his grower-owners is that much more of a responsibility, and he’d have it no other way. It’s obvious Newton and his team are close with their grower-owners. In fact, Newton refers to the gin’s grower-owners as his “tight-nit” group. Newton oozes work ethic. Yet he credits his father, Steve, with what was instilled in him. And, just a stone’s throw from the gin office sits Newton’s home, where he and his wife, Beth, hope to pass along that same work ethic to their three young children, ages 7, 5 and 3. No doubt, he will. After all, Newton exemplifies all that is The Co-op Advantage®️.